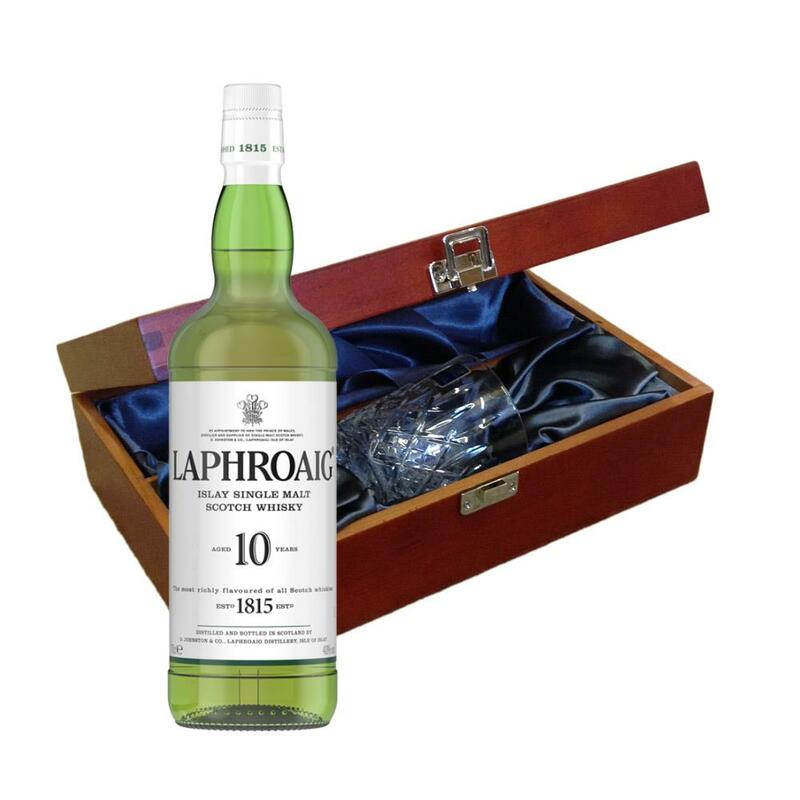 Send a bottle of Laphroaig 10 Year Old Single Malt Whisky wine in a lovely box beautifully stained featuring traditional joins with hinged lid and clasp fastening. Along with a beautiful hand cut lead crystal Royal Scot glass. All gifts come with a gift card with a message of your choice. Laphroaig 10 Year Old Single Malt Whisky This single malt from Islay has a pungent earthy aroma of blue peat smoke and the sweet nuttiness of the barley blended together to create a unique flavour. Laphroaig Malt Whisky is distilled in the Islay region of Scotland. Laphroaig (pronounced la-froyg) is one of the most distinctive of all malt whiskies.